My initial training as a Paramedic (and I’m sure this reflected by most others) was that in the setting of any suspected ischaemic cause to chest pain(and especially in a confirmed STEMI) high follow oxygen should be placed immediately onto the patient. Non rebreathers were standard care for MI. The biological plausibility model went along the lines of increasing the partial pressure of O2 in the alveoli would therefore super saturate the plasma, even though the SPO2 was already almost 100%. Reduced bloodflow through stenotic coronary arteries would have the maximum amount of O2 to deliver to ischaemic myocardial tissue. Certainly sounded plausible to me at the time. 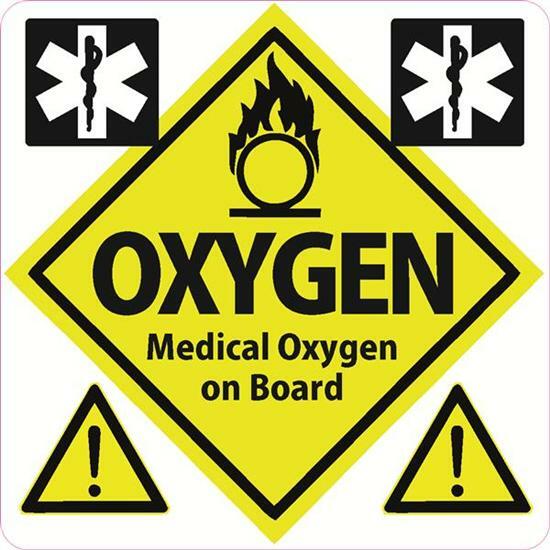 However in recent years there has been a lot of talk about potential harm of oxygen in these patients. So let’s review the evidence. 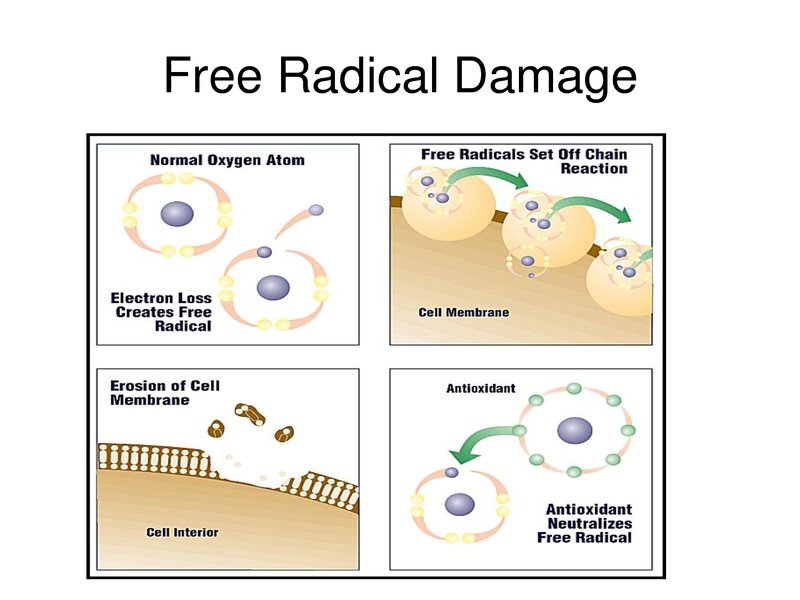 The accumulated numbers from three included trials were not seen to gain full statistical significance, however potential harm was a derived assumption, and no benefit was seen from O2 administration. These trials involved a total of 387 patients of whom 14 died. Of those who died, nearly three times as many people known to have been given oxygen died compared to those known to have been given air. 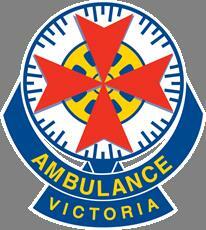 AVOID study recently conducted by Ambulance Victoria found a 5 fold increase in MI damage from O2 administration over air. 8LPM was used vs air. 441 patients were considered for endpoint analysis. The Swedish study mentioned on the scancrit post is deto2x, a Swedish RCT aiming to recruit 6600 normoxic patients with AMI to 6lpm or air. The results of this will be very interesting! 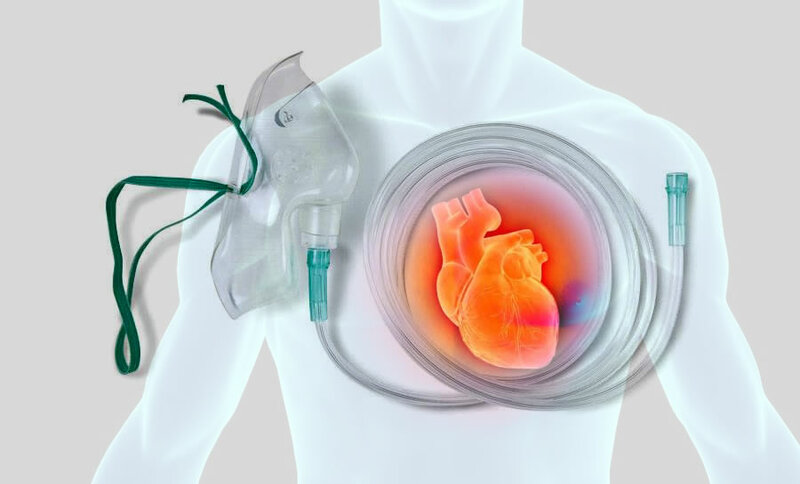 QAS Drug Therapy Guideline for Oxygen: very comprehensive guide to treatment. With the evidence accumulating against using O2 in AMI, how do we go about changing our ‘dogma’ and improving our practise for the good of patients? 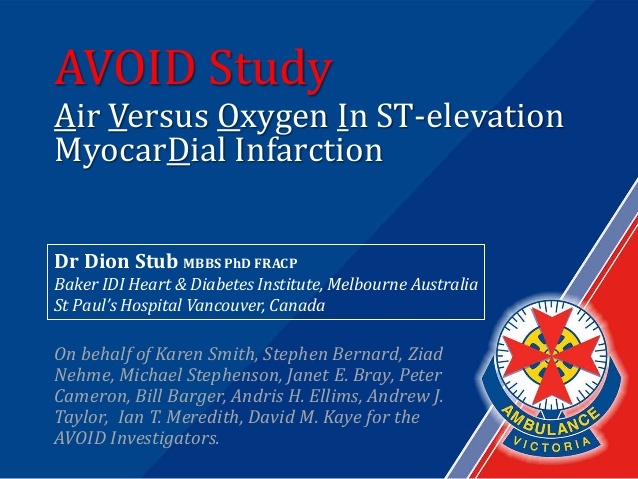 The following cross sectional study of UK health providers found 98.3%(n=524) routinely or always use oxygen for AMI or ACS, and only 1.3% believed there was any association of it’s use and increased mortality. Take home message: Normoxaemic ACS or AMI patients do not require oxygenation. Keep an eye out for results from future RCT’s for more evidence on this. This entry was posted in Uncategorized and tagged Acute Myocardial Infarction, chest pain, O2, Oxygen therapy. Bookmark the permalink. 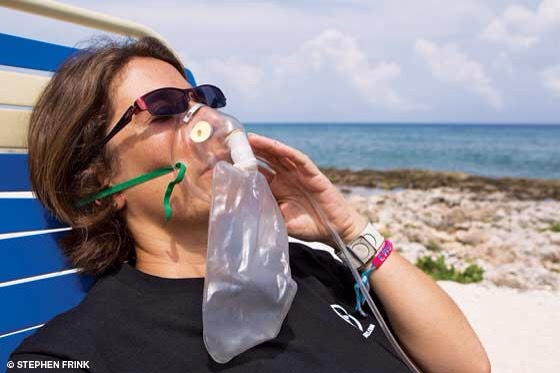 Fortunately the oxygen protocol is about to change to reflect the need to be more judicious with its use. It possibly doesn’t go far enough but its a start.